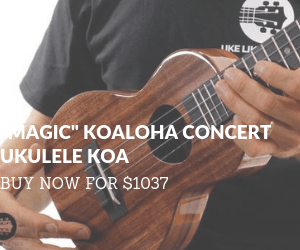 If you’ve heard the mellow sound of a baritone ukulele, you’re probably wondering whether this incredible instrument is worth a try – and if so, which baritone ukuleles are best. 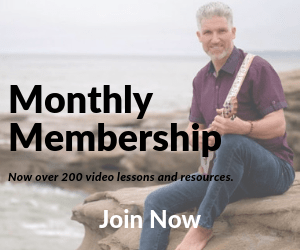 Performers everywhere appreciate the “bari” for its ability to produce lower pitches than its smaller cousins, and seasoned ukulele players are often happy to flex their musical muscles and learn DGBE tuning or try out alternate tunings. t’s a favorite with guitarists, too, thanks to the fact that it’s tuned the same as the top four strings on a guitar, so there’s no need to learn brand-new chords. Whatever your reason for considering a baritone ukulele, a quality instrument will make all the difference in the world. Because high-end, custom ukuleles are clearly superior, they are not included on this list. 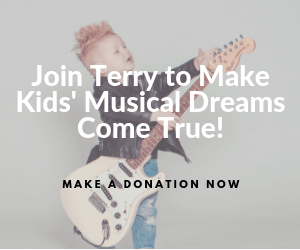 If you can afford to drop a grand or more on the instrument of your dreams, we encourage you to do so! 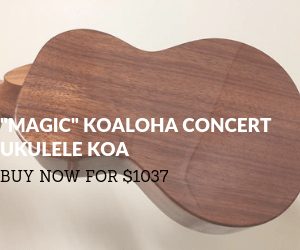 At the same time, don’t be in too much of a hurry to purchase the most expensive uke you can find, particularly if you’re a newer player and you aren’t one hundred percent certain about what you want in the “perfect” ukulele for your own needs. Many of the best baritone ukuleles fall right in the middle of the pricing scale so you can enjoy a good combination of quality and budget-friendly accessibility, which is why you won’t find price on this list of criteria for selecting the ideal baritone uke. As the old saying goes, it’s a good idea to get the best that you can afford and enjoy it for all it’s worth. The sweet, soulful, rich music that the baritone ukulele produces makes it unique, and it also tops the list of reasons people fall in love with this instrument. 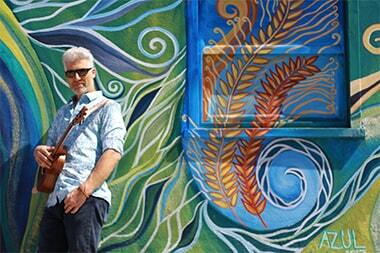 When choosing a baritone ukulele, make sure that you love the way it sounds. You can find clips of most popular baritone ukes being played online, and in some areas, you can test your top picks out in a music store while you’re working up your shortlist. If you love it, you’re going to play it! It’s simple as that. String action matters. Low action means you expend less effort pressing on the strings to get a pleasant sound. At the same time, some players need higher action since their playing style or technique can cause lower strings to buzz against the ukulele’s frets. Some of the best baritone ukuleles come equipped with truss rods that allow you to adjust the action, while others must be set up manually. If you invest in a custom ukulele, the intonation of every string is likely to be optimized particularly if that uke is built just for you. These days, most ukuleles – even many of the best ones on the market – are produced in factories. To avoid buzzing that tends to happen with lower action, most manufacturers set their action fairly high. This is easier to remedy than too-low action. Some ukuleles are set up to the satisfaction of their new owners right out of the box, while others could use some attention from a luthier before they deliver the right feel. 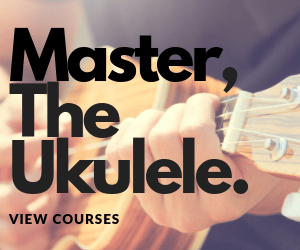 The good news is that if you like most things about a certain uke but it’s not set up the way you want it to be, it’s possible to have the setup changed by having the nut and/or saddle adjusted or maybe even replaced. Often, changing strings calls for adjusting action as well. As you progress as a player, you’ll probably find that it’s easiest to learn to adjust setup yourself. Even the best ukuleles found in music stores aren’t setup to the satisfaction of each and every player, and learning to take care of minor issues will save you time as well as money. A good ukulele offers easy playability once it has been set up. This means that the frets are level, any sharp edges have been filed off, and the action as been adjusted to the correct level for the player. Even average ukuleles can be rendered playable with some careful attention; better ones feel amazing in the hands and let you relax into the music. The less work you have to do to make your new ukulele playable, the better! Materials contribute to a ukulele’s sound, quality, and durability so it’s important to take construction into consideration instead of relying on appearance alone. The most expensive custom ukes are often made with fine woods such as Hawaiian Koa. This wood rarely makes its way into mid- to lower- priced ukuleles. These are typically made with mahogany, acacia, cedar, maple, walnut, and other more common woods. Some ukuleles are made with laminate, which improves aesthetics but doesn’t help with sound. Still, you can get a nice sound from a laminate ukulele – this shouldn’t be a dealbreaker, particularly if the rest of the components are of good quality. If you love a certain ukulele and you think it’s the one for you, go for it! Laminate does resist cracking, so this might even be a desirable characteristic depending on how you plan to handle and store your ukulele. Check out the neck, the fretboard, the bridge, the tuners, the frets, and the binding/purfling as well as any inlays, too. Most ukuleles use a hard, durable wood for the neck, such as mahogany. Many manufacturers opt for traditional rosewood at the bridge and fretboard as it produces a pleasant sound, and chrome tuners are the norm. You may already know if you prefer geared tuners or friction tuners. Both have positive aspects to offer, but most players have a preference. You may want to do a little bit of research and try both varieties if you’re not sure which type you like best. Many mass-produced ukuleles are “pretty good” and they can be improved by adding better strings or adjusting the setup. In case your budget can’t quite support one of the best baritone ukuleles on the market, you can easily weed out the terrible ones by checking for common problems like warping, splitting, incorrect fret positioning, faulty bridge position, and other obvious defects. Music stores must protect their reputations and won’t normally carry low-quality ukuleles. If you’re buying online, look to see what reviewers have to say about the instruments they’ve tried, and check to see whether the seller or manufacturer offers a warranty or a quality guarantee of some kind. Even if you’re buying a cheap baritone ukulele, you don’t want to waste your money on something you won’t be able to play. Baritone ukuleles normally have scale lengths between 18 and 23 inches. Vintage models tend to be a bit shorter while newer ones typically land a touch over 20 inches. The scale length matters because it contributes to the ukulele’s sound as well as its overall size. In general, a longer scale length will ring out quite a bit more than a shorter one. Scale length is a matter of personal preference rather than a marker of quality. 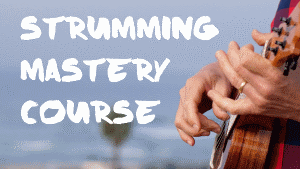 Most players prefer more ring, which is why most baritone ukuleles have a longer scale length. Since nut width (width of the neck at the nut) impacts the amount of space available for your hands across the neck, you’ll want to take this into consideration. In general, the wider the nut, the more room you’ll have between the strings. Nut width varies slightly by manufacturer and many don’t even bother to mention it although they might be able to provide a measurement if one is requested. If a ukulele has a terribly narrow nut, you can almost guarantee that reviewers will do their best to let potential buyers know about the issue. At the same time, there are some players who like narrower nuts as they prefer closer-spaced strings. Like every other consideration when choosing the best baritone ukulele for your needs, this is often a matter of personal preference. The Oscar Schmidt OU58 baritone ukulele features beautiful spalted maple throughout, along with a traditional rosewood bridge and maple binding to match the body. The gold covered geared tuning machines are a nice touch, and the nut and saddle are of NuBone. This ukulele offers a bright, clear sound with plenty of depth and resonance that’s a bit surprising considering the fact that the maple is laminate rather than solid wood. There are 19 frets on the rosewood fingerboard, and the nut is a spacious 1.5 inches. At about 20 3/8 inches, the scale is just a touch longer than average. Many players are surprised with the action, describing it as almost perfect before any additional setup steps are taken. With a solid cedar top and acacia wood sides and back, the Kala KA-ABP-CTG baritone ukulele boasts a contrasting mahogany neck, along with a classic rosewood bridge and a wonderful walnut fingerboard. Open Grover chrome vintage style tuners are a pleasure to use and a pretty slotted headstock adds even more visual appeal. Red padauk rosette and binding lends a touch of added distinction. The gloss finish does pick up some fingerprints but they’re easy to polish away. Soundwise, this ukulele offers up a rich, warm tone with a touch of brightness, lots of sustain, and plenty of projection. There are 19 frets on this ukulele. The nut is 1.51 inches, and the scale is 20 1/4 inches. Many players describe the setup as being ideal or at least close to it right out of the box, and it’s often compared with higher-priced instruments. If you’re looking for an acoustic electric baritone ukulele or if you’ve been wondering whether you’d like to play with an amplifier, then you’re probably going to like everything about the Carmel CB103. This beautiful ukulele is made with Zebra wood, which displays gorgeous striations and offers a smooth, sweet tone. The finish is hand-polished to a mirrorlike shine, and a dark walnut bridge and fretboard provide some visual contrast. This Caramel ukulele has built-in electronics including an onboard tuner. It features closed, Geared tuners, a built-in truss rod for easy nut adjustment, and it arrives with Aquila strings. There are 18 frets on this ukulele. The nut and saddle are of real buffalo bone. The scale is just over 20 inches, and the nut is a little over 1.53 inches. The setup gets mixed reviews. Some players feel that the action is too high, while others find it more than acceptable. Overall, this is one of the best baritone ukuleles in its price range as well as a favorite with new and experienced players alike. While the Kala KA-BG isn’t the prettiest baritone ukulele we’ve found, it is a nice, reliable instrument that sounds absolutely fantastic with plenty of body and sweetness. This ukulele is made of mahogany, with contrasting white binding and chrome diecast tuning machines. The fingerboard and bridge are walnut, and the nut and saddle are GraphTech NuBone. Aquila Super Nylgut strings are included. There are 18 frets on this ukulele. It has a scale of 20.25 inches, and the nut measures 1.5 inches. A glossy finish gives this instrument a beautiful glow. Players are often surprised that a laminate ukulele like this offers such a clear, sweet tone, and many mention that they have a tough time putting it down. If you don’t mind simple looks and you’re looking for a fantastic deal, then this might be the best baritone ukulele for you. The Flight NUB 310 Baritone Ukulele is fairly new to the U.S. market, but don’t let that stop you from adding it to your shortlist! 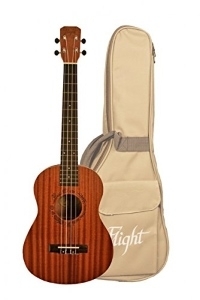 This gorgeous uke is made with reddish-brown sapele wood, which is closely related to mahogany. Hand-drawn, laser-engraved rosettes add a touch of artful interest. This ukulele features a rosewood bridge, an okoume neck, and a walnut fingerboard for stable intonation and a fantastic feel. The nut and saddle are made from real bone instead of plastic. It offers fairly low action right out of the box, and the geared tuners add even more value. A padded gig bag is included. The Flight NUB 310 has 19 frets, and it measures just a touch over 1.49 inches at the nut. We’re impressed by the number of position markers on this uke: You’ll find them at the 5th, 7th, 10th, 12th, 15th, and 17th frets. An arched back lends even more fullness to this ukulele’s beautiful, rich tone. 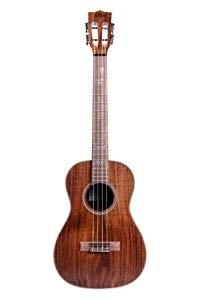 The Kala KA-SA-B baritone ukulele boasts solid acacia wood top, sides, and back. Like its close cousin Koa, this wood exhibits beautiful graining with plenty of color variation. The mahogany neck supports a walnut fingerboard, and the bridge is also walnut. The trim is beautiful: A slotted headstock and chrome tuners combine with maple binding and herringbone purfling, all contributing to this uke’s classic appearance. A satin finish protects the wood while lending a soft sheen. The nut and saddle are of GraphTech Nu Bone, and Aquila Super Nylgut strings come standard. The Kala Ka-SA-B scale length is 20.25 inches, and it measures 1.5 incehs at the nut. 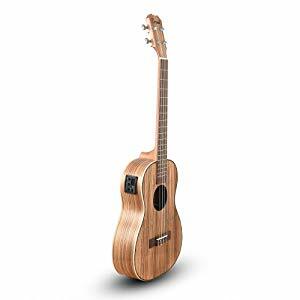 Soundwise, this baritone uke has an incredible singing voice that only gets better as the solid wood ages. It offers plenty of sustain and richness that make it a real joy to play as well as for listeners to hear. Whether you’re planning to take your new baritone ukulele onstage or if you’re simply interested in enjoying its warm, mellow tone while relaxing, it pays to choose a quality instrument that feels great in your hands. 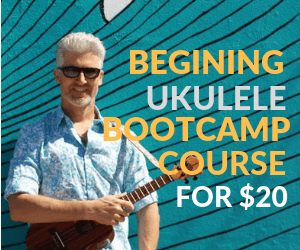 Even the best baritone ukuleles come in at prices similar to those of the average guitar, making this instrument wonderfully accessible as well as fun to play.